Like other great brands, Deli de Luca invents and reinvents an entire category. 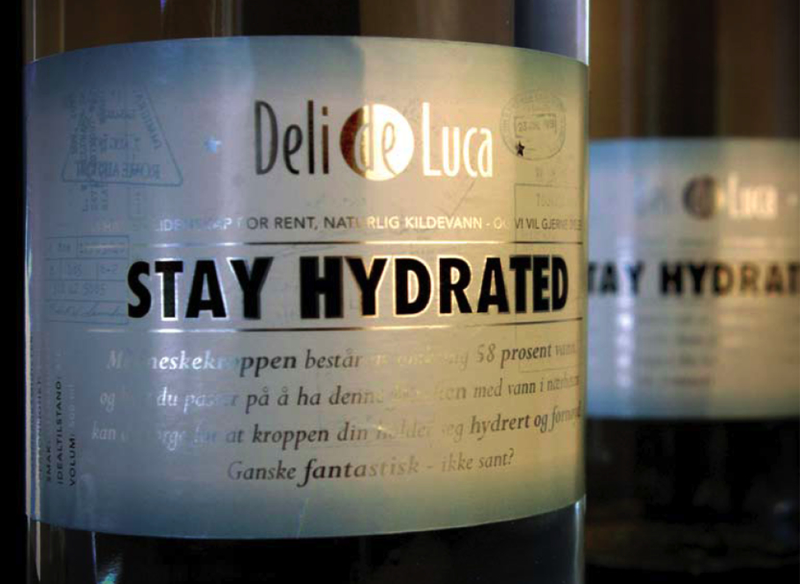 This summer the international food enthusiasts from Tullinsgate 2 entered the bottled water arena with their new branded water – Stay Hydrated. “Oh, do we need another water?” one will most likely wonder. For many, to even think of penetrating such an overcrowded segment of the consumer market would be a set-up for failure. For coffee lovers and life enjoyers!